Is your B2B company one of the 93% utilizing email marketing? In an effort to generate leads, boost engagement, and improve customer retentions and acquisition, most are. However, over the past two years, many companies have reported challenges in optimizing their email marketing strategy. The cause is often an disproportionately large focus on social media, which has taken center stage as the focus of digital marketing strategies. To optimize emails and drive results, B2B companies need to look at the big picture of digital marketing. It is not just one channel that will lead to success. Instead, an inclusive and cohesive strategy is needed, which utilizes each channel for the specific purposes it serves best. With that in mind, it is time to bring a focus back to email marketing and embrace the innovations that will drive results. In this article, we will cover two strategies for making the most out of your email marketing campaign. However, first let’s take a closer look at why an inclusive digital marketing strategy is so important. Digital marketing strategies need to be inclusive of several channels, including social media and email marketing. B2Bs need to embrace innovations in email marketing technology to better target and engage prospects. Important strategies to adopt are behavior-based automation emails, email list segmentation, and nurturing leads through the buying cycle. Open rates on emails range from 20–30%. Email is private and personal. Email is the primary mode of communication in the B2B industry. Prospects are accustomed to doing business over email. Email has shown a 40:1 average return on investment rate, and 63% of marketers vote that it as the best channel for ROI. Email marketing has its place. It is useful for engaging prospects, staying in communication with them, nurturing leads, driving specific actions, and increasing customer loyalty. Social media also has its place in building brand awareness, establishing authority, and generating leads. They can work together, along with other channels, to drive results. 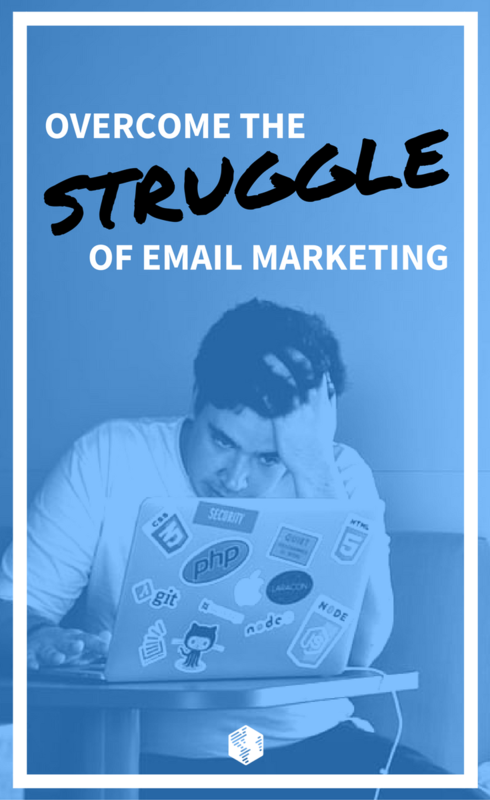 If your company has slacked off in the area of email marketing, it’s time to revamp your focus. Here are two strategies (and perhaps a bonus!) that can help you make the most out of your email marketing campaigns. Most B2B companies are utilizing email marketing to send their newsletters. While these can serve a purpose, another type of email drives 152% more clicks. I’m referring to automated emails, which respond when prospects take specific actions. Examples include emails sent in response to subscribing to a newsletter, showing engagement with specific services, or when a free trial is started. Imagine a customer who downloads an e-book about one of your services. They are obviously interested, so an autoresponder email can follow up afterward, offering another supplementary piece of information that can help in their buying decision. By using behavior-based automation in your emails, companies can give their leads the most relevant information. This helps to increase engagement and move them through the buying funnel. When asking B2B marketers if data-driven personalized marketing is effective, 95% said results were increasing ‘marginally’ or ‘significantly’. To implement this strategy, you will need to identify important actions that signal interest and plan emails in response to them. Learn more about creating a behavioral email marketing strategy in this helpful guide from Hubspot, and if you’d like to see this strategy in action, check out these successful examples. List segmentation is the tactic of dividing up your email list according to certain criteria. Marketers using this strategy report higher open rates, lower unsubscribe rates, better deliverability, and increased sales leads. When compared to broadcast emails, segmented emails have also shown to drive 18 times more revenue and increase click-through rates by 5%. Implementing this strategy is another step to help ensure that your recipients are receiving emails that they care about. You can segment email lists by asking your recipients questions in order to place them in the right group, by checking data in analytics, or by tracking their behavior. Segments can be based on demographics, the buying funnel, behavior, stated interests, or any factors that you deem important. To learn more about this tactic, you can read this guide from Pin Pointe on different ways to segment your list. This strategy involves being in tune with the advancement of your leads through your buying cycle. Each prospect will be looking for specific information as they progress closer to making a purchase. As a result, your emails should be planned to help in the process. When leads are new and cold, you want to provide them with educational content so they can clearly identify the problem they need to solve. Once they know their problem, they move into the stage of looking for solutions. Here, you will provide information specific to your product or service. Then, once they decide on the product they want, it is time to move into the copy to close the sale. B2B companies can create emails for each step of the buying process, then use the first two strategies to segment lists according to where prospects are and track behaviors to send the right messages at the right time. Want to see this strategy in action? Here’s a case study where a B2B company earned 133% ROI on their first ever lead nurturing email marketing campaign. Learn more here about implementation. Segment your email list to increase relevance. Nurture leads through the buying cycle. If you have any questions at this stage, we’d be more than happy to help—just get in touch via the comments section below!